With 2 caravans, a modern converted barn and 2 Glamping pods, a stay at Winllan Farm is truly a get away from it all break. Our accommodations are inviting, comfy and a cosy home from home. Centrally located in rolling West Wales countryside. With 2 caravans, a converted barn and 2 Glamping pods, a stay at Winllan Farm is truly a get away from it all break. Our accommodations create an inviting, comfy and cosy home from home. Located in rolling Welsh countryside with idyllic views. In the beautiful rolling West Wales countryside, in mid Ceredigion is Winllan Farm Holidays, away from the reality of modern life this is the perfect relaxing holiday destination leaving you wanting to go back again and again. 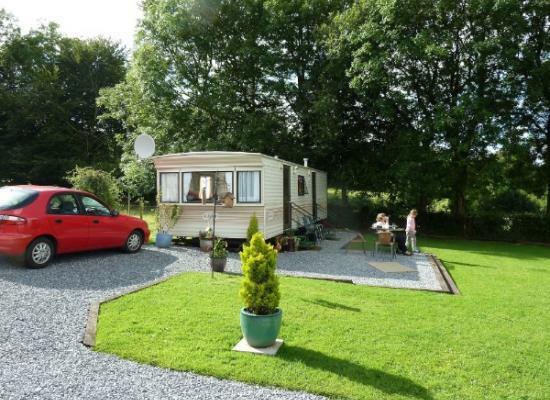 Just four miles from the town of Lampeter, 20 minutes from the coastal New Quay and Aberaeron, and 25 minutes from the Brechfa Forest and Cambrian Mountains there is lots of places to visit and to keep the whole family entertained. Also within a short driving distance of three national parks: Pembrokeshire and the Brecon Beacons within an hour, or Snowdonia within an hour and a half, there is so much to see that you should not miss.